The garage is typically the dumping area. A collection of stuff you don’t want in your house, but don’t want to throw away. And before long, voila. Your garage is a mess. It’s the door that always stays closed, the scary room nobody wants to enter or expose. Finding or accessing your stuff is difficult and stressful, and you can pretty much forget about having room for your car(s). Know what you have and what you want to keep. 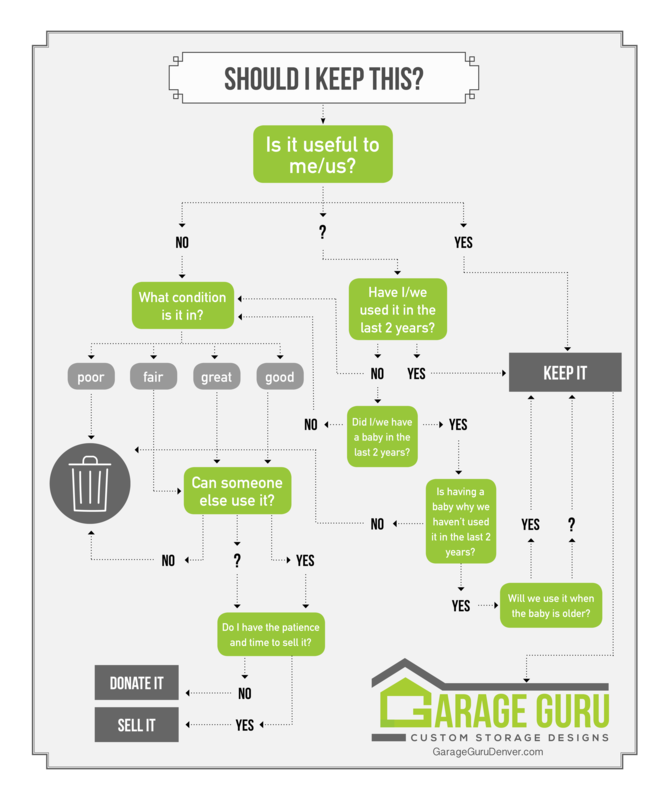 Get rid of the rest (donate, sell, trash). Pick the right storage solutions. The answer lies in this super simple equation, and that’s what we’re here for. Show us what you have and want to keep in your garage, and we’ll show you solutions that fit your needs. After all, and as the saying goes, if you have a place for everything, everything can be in its place.